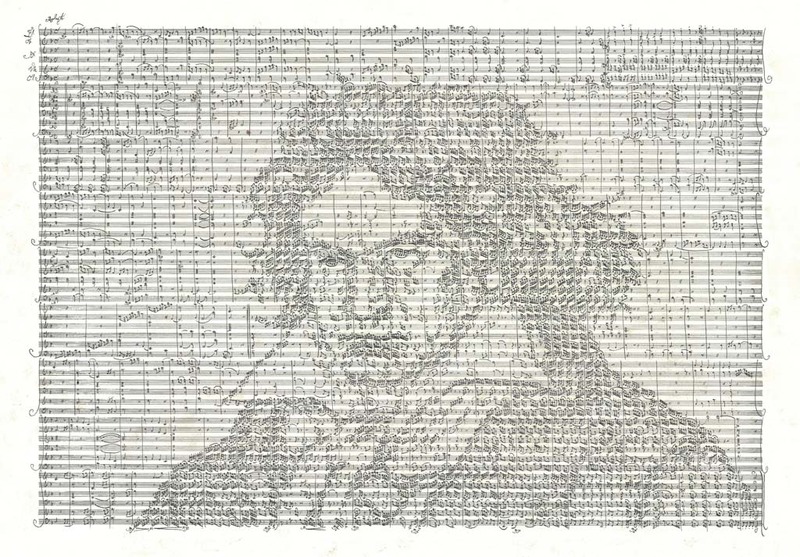 Beethoven is one of the MusicArt portraits I continually see new details to rework. Of my ten (or so) different versions of this image, this one is by far my favorite. It has also been one of the most labor intensive. I have learned how to write in his handwriting style, which makes creating these images so much fun. There were several times during the creation of this piece that I really felt like I understood how his musical ideas spilled onto the page. The music of this work is a 12-minute concerto. I think it really has some interesting parts to it. I hope to find musicians who will perform this work.